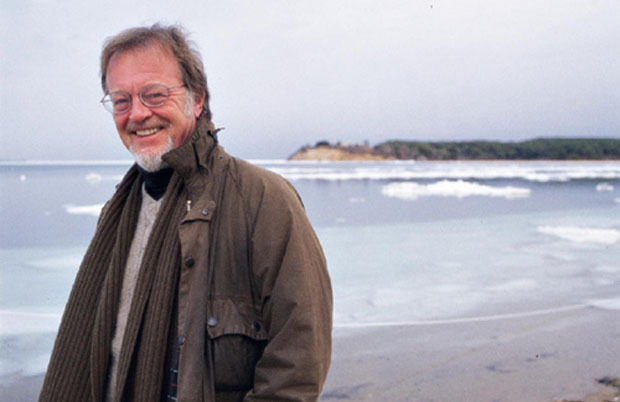 Bernard Cornwell (OBE) was born in London on 23rd February 1944. At a young age, Bernard was adopted by the Wiggins family from Essex, who were members of the strictly pacifist religious sect- Peculiar People. In his youth he attended Monkton Combe School, and, at a later age Bernard left his adoptive family and attended a London University, graduating in 1966. It was at this time that he changed his surname to his mother’s maiden name – Cornwell. After leaving university Bernard worked as a teacher, whilst at the same time attempting to enlist in the British Armed Forces, but being rejected three times due to his near-sightedness. He then embarked on a ten-year successful career with the BBC, beginning as a researcher on the Nationwide programme and ending as Head of Current Affairs in Northern Ireland. During this time Bernard met his American wife Judy and they married in 1980. Bernard moved to the USA and decided to earn a living writing, thus the Sharpe series we all know and love was born. 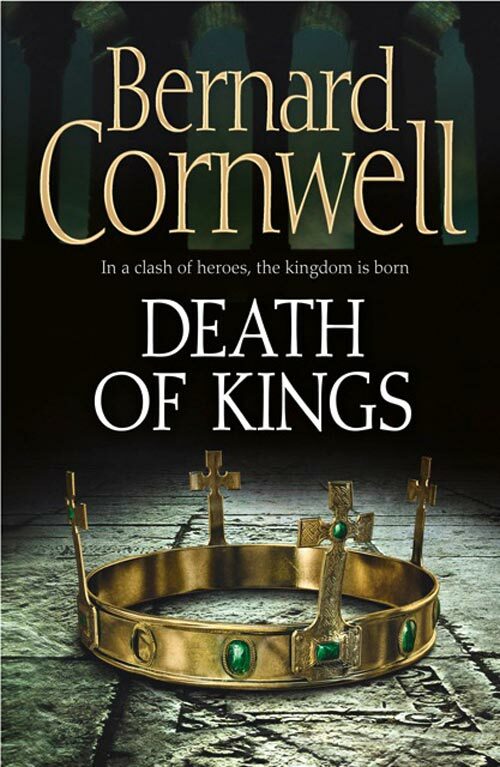 Ever since, Bernard Cornwell’s books have been recognised and received to great acclaim and a firm fan-base world-wide. In 2006 Bernard was awarded an OBE by the Queen for his services to literature and furtherance of British culture abroad. You’re currently on your UK book tour for your new novel The Death of Kings (just a moment whilst we have a quick cheer for that- hoorah! ), so thank you so much for agreeing to an interview with us at such a busy time! Q: Ok, so it’s a bit of a silly one, but it’s got to be asked, what was it like meeting the Queen? And what did she say to you? – I didn’t meet her! Prince Charles was on duty at the investiture, but it was still an awe-inspiring day! There’s not a lot of time for conversation, but I do remember he asked if there would be another Sharpe TV series (I have no idea what I answered . . . I was too worried about tripping over as I backed away). My American wife was enchanted to be in Buckingham Palace . . . . I find Americans to be much more Royalist than you’d ever expect . . she was especially impressed by the Christmas tree decorations (the investiture was in December) which were scores of gold and red crowns . . . what else? Q: Trying to enlist for the British armed services three times suggests a stoic desire to serve your country. How did you cope with the disappointment of not being accepted? And do you feel that to some extent, you have been able to explore this within your novels? – I’m sure I coped with the disappointment! It was a long time ago and the army was probably relieved. I’m sure my interest in all things military came from the Peculiar People’s dislike of all things military, so the novels definitely sprang from my resentment of that attitude, but I don’t think they’ve been a replacement for a military career! I hope not, anyway. Q: It seems fair to suggest that your most famous character is Richard Sharpe. But we haven’t heard from him since 2007! Can we take it he is retired now or will we be lucky enough to hear from him again? – I’m not sure I know the answer to that. I do want to write more Sharpe books, so if that’s any indication, then yes, you’ll get more. But. There’s always a but. I used to write two books a year, which made it easy to keep one series ticking over while I indulged myself writing another book, but I’m getting older (an inevitable thing) so I’ve probably slowed down some, and then six years ago I fell amongst actors, which was a fatal thing to do, and I now spend most of the summer on stage at the Monomoy Theatre in Chatham on Cape Cod (and yes, they do spell theatre the British way). Monomoy is what Americans call ‘summer-stock’ or, in English English, seasonal repertory. I do love being a part of the company – this year I had parts in four plays and, with all the rehearsals, there’s simply no time to write, so I’m down to one book a year instead of two. So, with folk wanting more of Uhtred, and me wanting occasionally to write something different and challenging (like The Fort) poor Sharpe gets pushed to the back of the queue. But I can’t imagine I won’t write another! Q: Your books are always rich with hero-figures. Who would you say you would regard as a hero in real life? – Well, plainly the Duke of Wellington! There’s much to dislike about the man; his snobbishness, his preference for sprigs of nobility to be his staff-officers and so on, but for sheer common-sense allied to a superb tactical and strategic mind, he can’t be beat, and he cared desperately about the well-being of his soldiers. Robert E. Lee would be another hero, not just because he was a superb soldier, but a most impressive man as well. I’d add a heroine too, Elizabeth I, who to my mind should be called Elizabeth the Great. As for the present day? I’ll choose Martin Johnson! Q: In your recent book, The Fort, you do not portray the American hero, Paul Revere, in a very flattering light. Is there historical evidence to support the arrogant character depicted in your book or was there a certain amount of poetic license involved? On the same subject, did you receive any backlash or criticism from the American public for this portrayal? – There’s an enormous amount of historical evidence! I had at least two sources for everything I said about Revere, and if I only had a single source I left it out! In truth American historians have known all this about Revere forever, but myth is more powerful than history and Henry Longfellow’s poem about Revere trumps the truth every time. Interestingly Longfellow knew he was twisting the truth when he wrote the poem, but his ambition was not to be an accurate historian but to write a great patriotic paean which would unite the country on the verge of the Civil War – if he had known that his own grandfather had brought charges against Revere I suspect he would never have written the poem – at least not about Revere. I’ve had some grumbles, but not many, and I’ve also had some cheers – especially from people in Maine who never were impressed by Mister Revere! Q: Do you feel that your experiences at the BBC have influenced you, or made you view the world differently? – Oh I’m sure they have! But how? I’ve never thought about it! Working in television probably made me more cynical, gave me a huge amount of experience at the licence-payer’s expense (thank you very much), and was, above all, enormously enjoyable! Beyond that? Don’t know. Q: What is it about historical adventure novels that draws you in? Would you attempt any other genre? – Again I don’t know! I’m sure most writers write what they want to read, and as a young man I had an insatiable taste for historical novels so, when I began to write, it was obvious (at least to me) that I would write historical novels. I say ‘as a young man’ because, as I got older and began to write the novels, it became increasingly hard to read other historical novels – a case of the busman’s holiday. I get plagued by publishers wanting me to ‘puff’ historical novels and, to be honest, they pile up unread because, if you write the things you don’t want to relax with them! I know that’s churlish, but there it is. Q: What can we expect from your new book The Death of Kings? – A story? Which you’ll have to read to find out what happens. Q: How much time and research went into writing this particular novel? – A lifetime of research, which is not being evasive, but research is a lifetime’s activity. Time? I have no idea. I suppose I began it in September and finished it in April, which is more or less par for the course (I hate golf, but it’s a useful cliché). For most books I’ll spend a couple of months doing dedicated research, which is not ‘lifestyle’ research, but rather trying to tease out of the sources what really happened, and then I’ll start writing. Most books take about six months, but behind that is a lifetime of reading. Q: Ok, so imagine you’re a teacher again- what three pieces of advice would you give your class? 1) Never play poker with a man called Doc. 3) Repeat number two to yourself nightly. Q: And lastly, here at World of Books we are dedicated to providing good-quality second-hand books to the public. By sourcing a large amount of our books from charities, we are also able to support their cause, often sending books out to developing countries and recently to UK based Army barracks. Any book we can’t sell, we recycle; last year alone we saved 12,500 metric tonnes of waste from going to landfill sites. In a world with an ever-growing digital media base, and increasing environmental concerns, do you believe in the importance of giving each physical book the chance of a new home? – I can think of a few books which ought to be permanently buried, but you don’t want to know that, so I’ll simply answer ‘yes’. Make sure you get yourself a copy of Bernard’s new book, The Death of Kings, out 29th September, to keep up to date with the release visit Bernard’s Website. And if you fancy catching up on any of Bernard’s other books, why not visit World of Books.com and have a browse?